The biggest, splashiest welcome to our very first guest blogger, Patrice Hall! 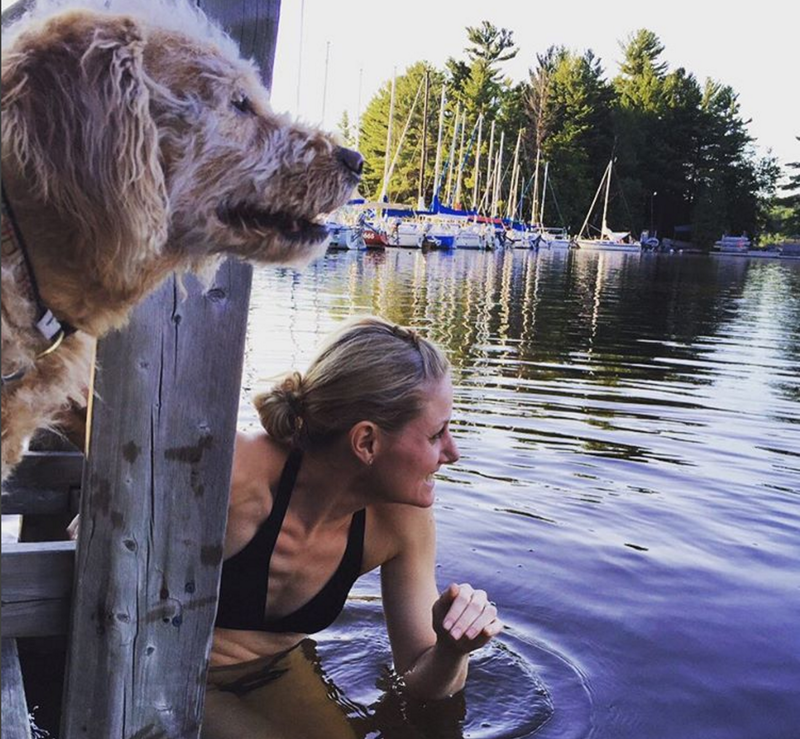 She has been instrumental in our summer of swimming, hosting we three swimmers for an epic weekend on the river, filled with cliffjumping, skinnydipping and docktails and general swim-y merriment. One day I woke up with a horseshoe in my a** and came to find myself living on the most beau-ti-ful river in Chelsea QC. I’m still uncovering all its nooks and crannies and the special little swimming holes it hides. The Gatineau is black water due to the tannins from decomposing trees (it was a logging river after all) and it has a silky texture that I love. I’m all about the no-suit salute! You’ll find me down at the river almost every night after dark. The Gatineau River has it all and I enjoy it all. If I’m not being silly (which is a lot of the time), a long shallow dive is my most favourite entry. Swimming’s been a constant – from backyard lessons to lifeguarding to summer camp. Now, it keeps me sane and whole. A dip in the river washes my stress away and connects me with life’s simple pleasures. My group of friends enjoys eating and trying lesser known beers, or the amazing cocktails all the time. This is the best venue Houston I know with the most perfect environment. It has become my favorite venue over the last year.